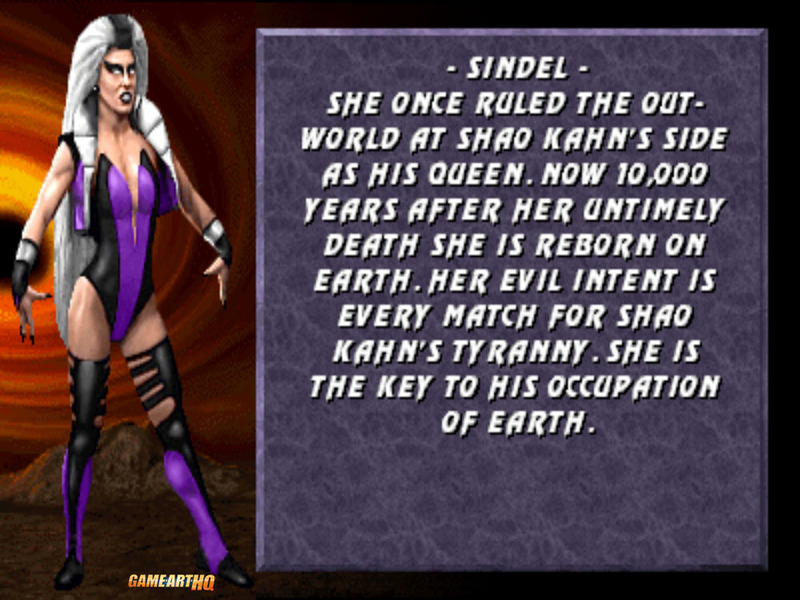 Sindel is one of the completely new characters in Mortal Kombat 3 and an important part in the plan of Shao Kahn to invade Earthrealm. 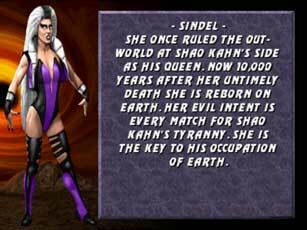 She is equally evil and fights on Shao Kahn’s side..so it seems. 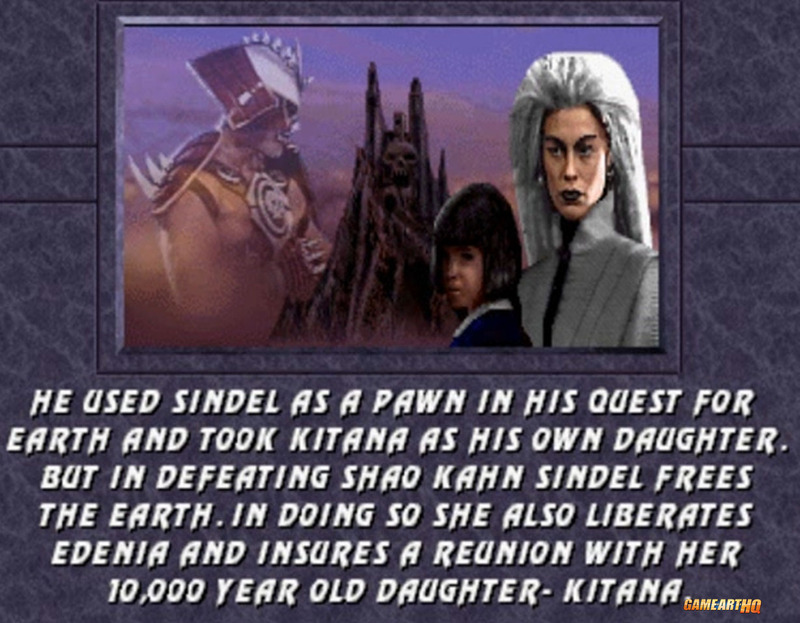 Sindel debuted with a very unique playstyle for its time and was one of the first fighting game characters ever with the ability to fly during a battle. 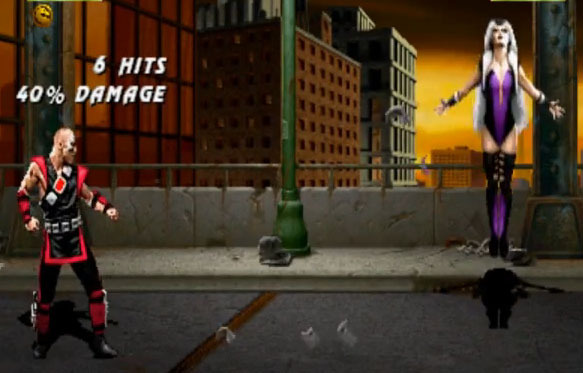 She can stun the enemy through her screams and also shoot projectiles while standing or jumping, a deadly combination if used with her dial-up combos. 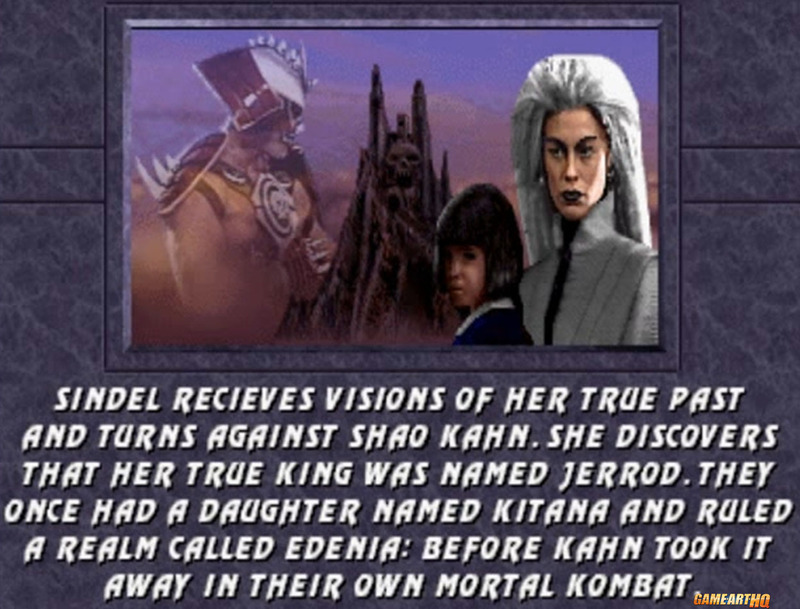 Sindel was used by Shao Kahn who once killed her King and Husband Jerrod from Edenia where both ruled until Shao Kahn occupied that realm after he won it through Mortal Kombat. 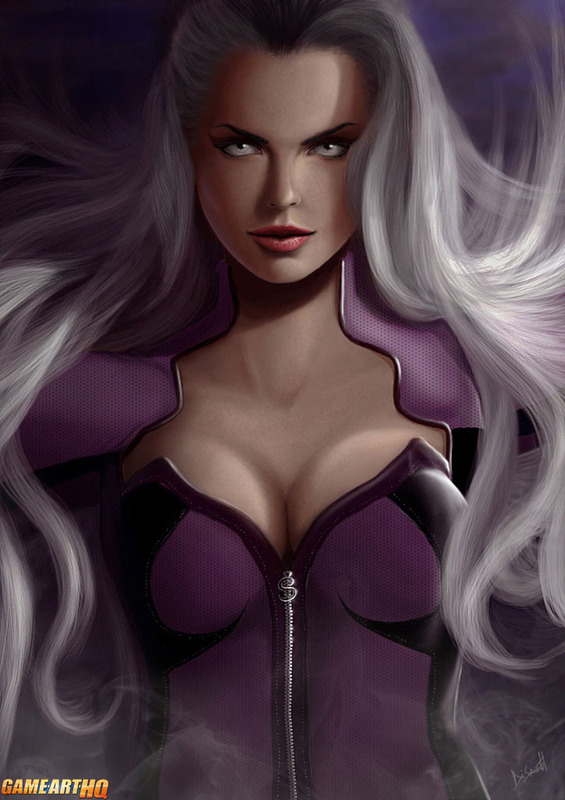 Visit also Sindel’s Game Art HQ Main Profile with more infos, official art as well as featured fan art and more.